Islamic Microfinance Network (IMFN) has been set up to assemble the international Islamic Microfinance organisations on one platform, a statement said. Zubair Mughal said that the trend of Islamic microfinance is rapidly increasing in Pakistan and all over the world. He said that there are 14 Islamic microfinance organisations working in Pakistan and more than 200 are playing active all over the world. One of the major reasons of this rapid popularity of Islamic microfinance is the failure of the typical microfinance and India is the open precedent of its failure. He said that the initial member countries of Islamic Microfinance Network are Iraq, Jordan, Yemen, Ghana, Mauritius and Kazakhstan. Farida Tariq said that this network could prove to be an excellent source of poverty alleviation and institutional building. Amjad Saqib added that the objective of this network is to assemble Islamic microfinance organisations at one platform. Khaleeq-uz-Zaman and Syed Mohsin praised the effort of giving synergy to Islamic microfinance organisations. 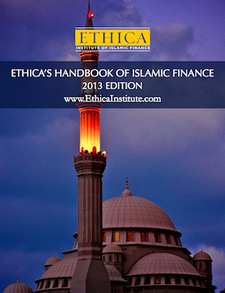 This entry was posted in Current trends and news, Innovations and developments and tagged Islamic Banking, Islamic finance, Islamic microfinance. Bookmark the permalink.